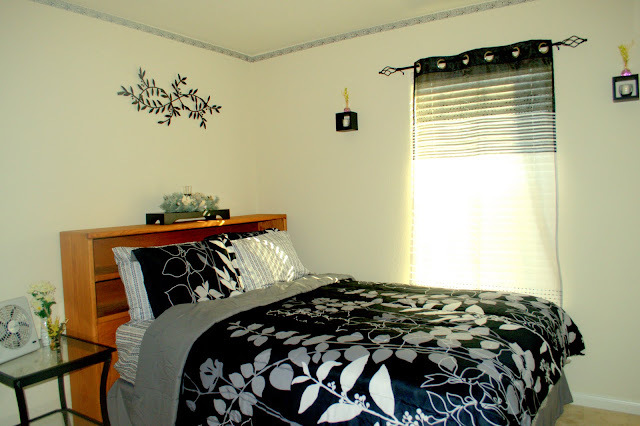 Welcome to our BLACK & White guest room! This is one of my projects last year. The room is very simple but yet comfortable. Just only $150 per week. Free food and wifi...nyahahhaa! I still have to work on the headboard though. I was thinking of painting it with black color. 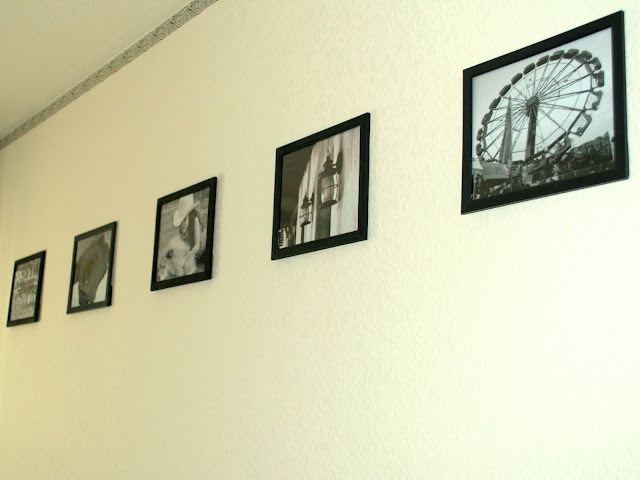 Of course, my black and white pictures! Lovely room. Has a nice Zen feel to it without going too far. Nice. It looks restful and comfy. I wouldn't mind staying there. Beautiful - like the colour scheme! Buti pa kayo sis may guest room hehehe. Pwede na pala kami pumunta dyan bukas lol, makikitulog lang hahaha. You have a very organized and neat room tsang. I like your choice of color, black and white definitely complement everything and most importantly dili ma klaro ang hugaw hehehehe amoa pa na si justine tua nag balay balay na. nice room ate dhemz pwede pa-ampon nlng at diyan mag stay sa room na yan? hahahha! Visiting for Wednesday Whites! Hope you can stop by..
wow! Mrs. D I did not know that you are a designer too :-) I love your room, so neat, great job decorating. Returning the visit from Wednesday Whites. Grabe nindot ayo madam inggit ko hehehhe...Visit from WW! Ganda naman ng guest room n yan for sure comfortable whoever will use it. visiting from WW! Here's my take for this week..
wow! you are such an artist, Dhemz!! i would love to stay in this room.. for free! hahaha! Thanks for joining Wednesday Whites!! See you again at Wednesday Whites –linky will be up in a few hours! My White Entry .Have a nice day! ayay...$150 per week gyud yotch? hehehe i-hire na lang tika ug interior designer namo yotch. :D love your neat guest room. visiting back from Wednesday Whites.